We are a non-selective independent school for children aged 3-18 years. 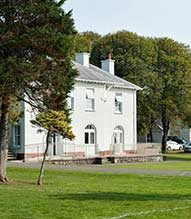 Established in 1938, the school stands in its own magnificent grounds, in the picturesque village of Newton, near Porthcawl. Our highly skilled and motivated staff will nurture your child through their crucial early years. We take great pride in preparing children to the highest academic, social and moral standards. Our pupils are happy children with high self-esteem and a strong belief in their abilities, combined with respect for others and their surroundings. 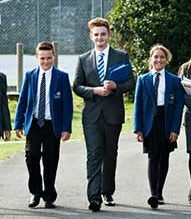 With class sizes carefully controlled to optimise learning, the Senior School prides itself on enthusiastic and dedicated teaching to meet the needs of individual pupils. Our brand new dedicated Sixth Form Centre offers a unique and stimulating environment for study with high levels of 1:1 tuition. Where our young adults prepare for university, apprenticeships or the workplace. At St Clare’s we believe that an enriching school experience is as important as an academic one. Pupils’ rich experiences will give them the edge in competitive job markets. Admissions Officer, Mrs Holly Fowlkes, carefully guides St Clare’s families through the admissions process. Holly takes great pride in delivering a warm, welcoming and professional service with your family at its heart. 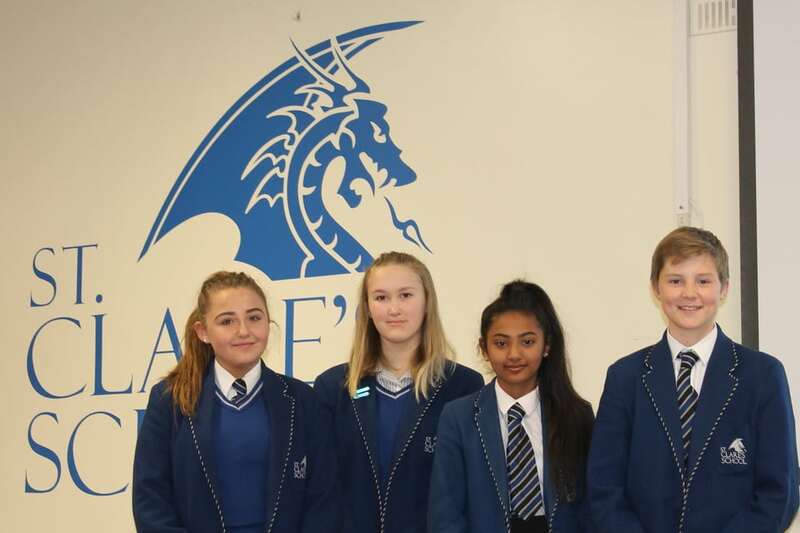 This year the pupils have won £2,500 prize money for the school, individual prizes and a trip to London to compete against the other regional winners with the chance to win another £2500. The winning team is called ‘Straight Outta Science’ their captain is Jaynee Winslade-Gregory and team mates are Susmita Dutta, Dylan Bebbington and Izzabel Woodward. The team’s idea is based on the Seebeck effect and the pupils will have to produce a 3D model prototype when they visit the Imperial Colleges White City in London this week. We hope that a public vote will select their idea to become UK champions. In fact, this year we had three teams shortlisted for the final which is an incredible achievement. The two other teams shortlisted were -3 Degrees and We’ll Think of it by Friday for their ideas involving magnetic levitation in a vacuum and solar panels in roads. Previously, in 2016 ‘Roller Squad’ led by Joseph James were Welsh Regional Winners while in 2017 ‘Chipachapachino’ led by Theo Quantick won £3000 for suggesting that all newly built houses be designed to absorb carbon dioxide. They not only won the Welsh Regional Award they also came 3rd across the UK. This year two other teams were also shortlisted for their ideas involving magnetic levitation in a vacuum and solar panels in roads. Seeing our ideas come to life today has been amazing! Jaynee Winslade-Gregory, Team Captain from the winning team SOS (“Straight Outta Science”) commented: “Seeing our ideas come to life today has been amazing. I’m excited everyone at the festival will be able see our idea on display. I hope we get lots of votes! It’s been really interesting to think about real world issues that will affect how we live and see how STEM can change the world for the better. It hasn’t sunk in that we are winners! Our school is going to spend the money on our new science block. New Headteacher, Mrs Helen Hier praised the pupils for their efforts and said: “STEM is so important for our children, our region and our country, we need to encourage the current generation, as well as future generations of pupils, to understand and embrace the technology that affects them every day of their lives. Pupils at St. Clare’s are taught by engaged and enthusiastic teachers using hands-on and minds-on activities. Making science and math courses fun and interesting not only helps pupils to learn, but might also plant the ‘seed of interest’ that could grow into an exciting and rewarding STEM career”.